The Porsche Panamera has quickly earned credentials as one of the world's best large sports sedans. It has the luxury, space and performance to go toe to toe with cars like the Aston Martin Rapide and Maserati Quattroporte, not to mention more familiar luxury-sport models such as the Audi A8 and BMW 7 Series. Panamera's core engineering values will feel very familiar to longtime Porsche enthusiasts. 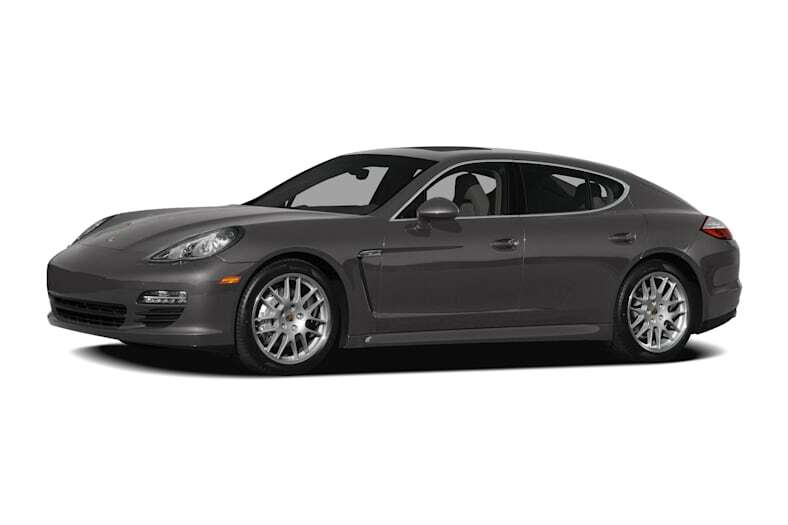 For the Panamera's second model year, Porsche has introduced the 2011 Panamera V6. Powered by a 300-horspower 3.6-liter six-cylinder engine, with optional all-wheel drive, this new base model might be the most impressive Panamera of all. We can't think of another large luxury sedan that delivers the V6's combination of exhilaration, practicality and impressive fuel economy (18 mpg city, 27 highway, according to the EPA). The Panamera's unique two-box exterior design is based on two objectives: Porsche styling heritage and space efficiency. The look seems to be a love-hate proposition, with haters ahead slightly and very little middle ground. Yet those who can embrace the styling will be rewarded with a truly substantial, satisfying automobile. The Panamera is only slightly smaller than the BMW 7 Series, and it delivers the sporting performance of a world-class sports sedan with the comfortable ride and refinement of a luxo-cruiser. Those extremes required a lot of careful engineering. Porsche builds the body from lightweight materials and puts the engine low and as far back as possible. The Panamera's standard adjustable suspension can change the ride from soft but stable to race track-ready. All Panamera models are fast, as is expected from Porsche. The new V6 hits 60 mph in as little as 5.6 seconds, despite the impressive mileage. The V8-powered Panamera S models drops the 0-60 time to 5.0 seconds, and raises top speed to 175 mph (from 160). The Panamera Turbo cuts that time to a sports-car bashing 3.6 seconds, with little if any turbo lag and a rush of power that pins you back in your seat. The Panamera is truly roomy, with back-seat headroom, legroom and hip room that rival that of a Mercedes S-Class sedan. A standard full-length center console divides the Panamera into four distinct and comfortable seating positions. The feel from the driver's seat is much like that in Porsche's iconic 911, only slightly higher off the ground. All of the seats are supportive without being too firm or too deeply bolstered. The space inside still surprises us. The rear seat has enough head room for an NBA point guard and plenty of leg room, too.